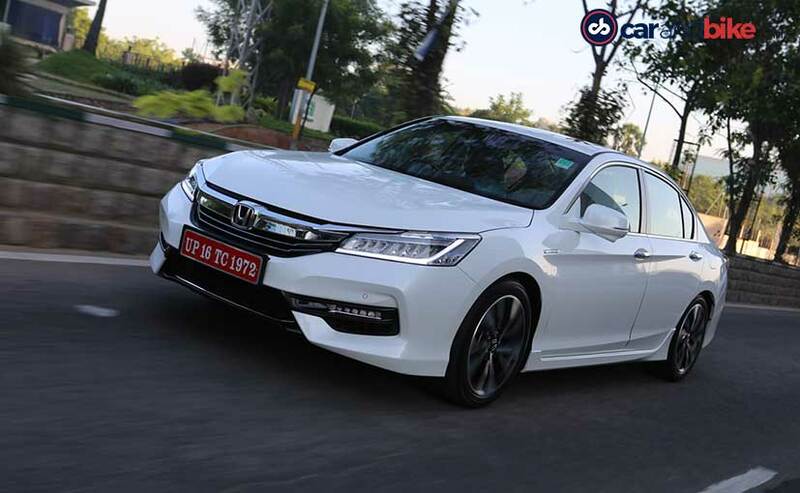 Honda has re-launched the Accord sedan in India, and this time the car will come in its hybrid avatar. We recently drove the car in India and you can read all about it in our first drive review. 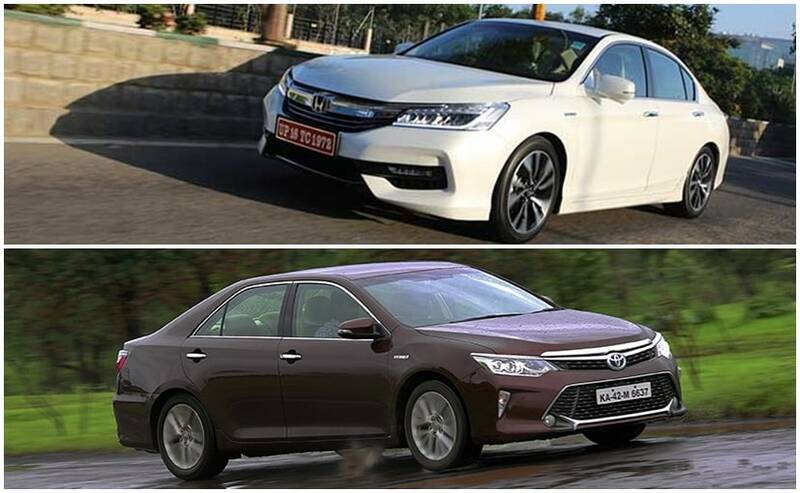 In India, the new Honda Accord Hybrid will lock horns with the Toyota's Camry Hybrid, which has somehow been the undisputed leader of the segment and we have driven this too. Both the cars come with a conventional hybrid powertrain and offer all the luxurious features of an executive sedan. While we will bring you the road test comparison soon, for now, let's see how the cars fare against each other on paper. Starting with the current segment leader, Toyota's Camry Hybrid is powered by an efficient 2.5-litre, 4-cylinder petrol engine that is paired to an electric motor. Individually, the petrol engine churns out a maximum of 158bhp and develops 213Nm of peak torque, while the electric motor is good for 140bhp and 270Nm. That said, when combined together, the total power output comes to 202bhp. Transmission duties are handled by Toyota's electronically controlled CVT unit, which is best suited to a hybrid car. In comparison, Honda's new Accord Hybrid comes with a conventional 2.0-litre, 4-cylinder, naturally aspirated petrol engine that also comes mated to an electric motor that is powered by a 1.3Kilowatt/h Lithium-ion battery pack. The petrol engine alone makes a modest 145bhp and develops 175Nm of torque. As for the electric motor, it develops a maximum output of 184bhp and 315Nm of torque. 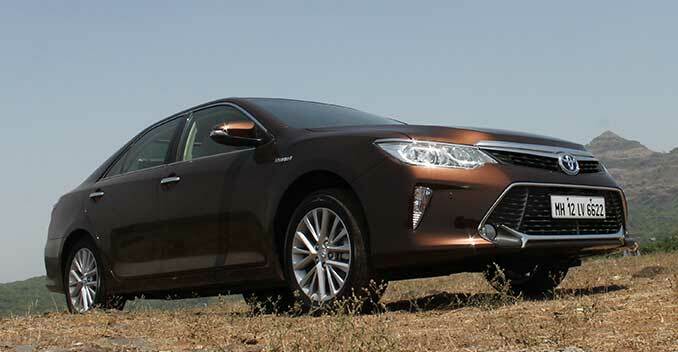 The total system output is rated at 215bhp, which is about 13bhp more than what the Camry's hybrid system makes. Even here, the transmission duties are handled by a CVT gearbox. Also in the Accord Hybrid, the petrol engine and electric motor can power the car as a pair or independently. Both the Camry Hybrid and the Accord Hybrid come with different driving modes and superior fuel efficiency. In Toyota's Camry Hybrid there are two driving modes to choose from - EV and Eco. The EV mode kicks in if you're stuck in traffic, as it doesn't allow you to go above 40km/h. Switch to Eco mode and the electric motor and the petrol engine work hand-in-hand with one another. Efficiency wise, Toyota claims that the Camry Hybrid delivers 19.6km/l (ARAI figures), which is truly impressive for a car of this size. On the other hand, the new Honda Accord Hybrid comes with three drive modes - one pure electric -EV, a Hybrid Drive mode - Eco and an Engine Drive mode - Sport. In EV mode the car entirely runs on electric power and you can access the motor's complete potential but that would limit your range to only 2 km before the petrol engine takes over automatically. In Eco or hybrid mode, the engine runs to power the electric generator and is disengaged from the actual driveline of the car. If you wanted instant power and you floored the throttle pedal, the engine connects up to the driveline by a set of gears and the combination of the electric motor and the engine powers the car. Whereas, in Engine drive or Sport mode, the car runs on the internal combustion engine like any other petrol sedan. 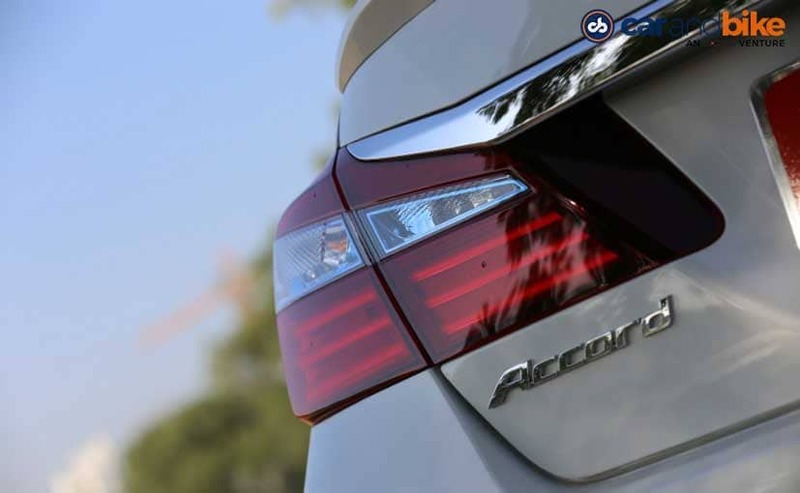 The maximum fuel efficiency that you can get from the Accord Hybrid is registered at 23.1 km/l. Among feature offerings, the Camry Hybrid comes with slimmer front grill and sleek looking LED headlamps with LED daytime running lights. The front also comes with the massive trapezoidal air dam brings out the wild side of the car, while the chrome strips run around the chin at the front, the air dam, the door handles, the window sills, the rear and even the tip of the rear bumper, adds to its premium nature. Inside there is a huge touchscreen infotainment display at the centre of the dashboard along with features like - 3-zone automatic Climate control, the rear seat, as on the previous car, gets its own temperature setting. Considering its Toyota the Camry is high on safety features as well that includes - 7 Airbags, ABS with with Electronic Brake Force Distribution and brake Assist, Vehicle Stability Control (with Off Switch), Hill Start Assist Control (with Slope Detection), Rear Camera, Clearance & Back Sonar, and Impact Sensing Fuel Cut-off among others. The Honda Accord Hybrid, on the other hand, gets an all-LED headlamp cluster with LED daytime running lights and a fat chrome slat on the grille the runs into the headlamp design. The muscular front bumper comes with a wide air dam, air intakes and LED foglamps. The car also comes with features like - dual-zone automatic climate control system, infotainment system with Apple CarPlay and Android Auto, electric sunroof, rain-sensing wipers, remote pre-cooling and pre-heating function for the cabin, and a remote start function. Whereas, safety features airbags, ABS, stability control, traction control and lane watch assist.